Rev. G. P. Watrous held a protracted meeting in the Pierce School House commencing Nov 29/75 & continuing five weeks, as the result of his labors some ten conversions & a number reclaimed, and as there was no Church Organization in that district it was the unanimous desire of all to organize a Church of some kind & as 19 their names in favor of a Regular Baptist Church it was deemed best to organize at once. Brother Watrous appointed a meeting on the evening of Jan forth. Watrous requested the Church to remain a few minutes as he had overlooked the appointment of some one to take charge of the meetings. It was moved & carried that Brother W H Porter be our Deacon. Thursday Evening Jan 13 Brother Watrous preached for us and requested the church and all that wished to be received as members to remain after he dismissed the congregation. Brother Jacob Y. Dumond & Sister Alice Douglas was received on experience. Mrs Maranda Mcxintosh was received as a candidate for baptism. Saturday Jan 15, first covenant meeting. Minutes of the organization of the Church read & adopted, Sister Hannah Becker & Brother John S Becker was received as members, on experience. The following records will be continued on page 22. Pages 6 through 13 are Members attendance records. A good meeting was enjoyed. Moved and seconded that we adjourn to meet on the fourth Saturday at 2 P.M. of each month. A meeting to be held at Wall School house on the 5th of June at 2 P.M.
7 members present & Elder Jones pres. Adjourned to meet the last Sat this Mo. Church met at 11 o’clock A.M.
Sunday Jan 16 We were permitted in the providence of God to visit the baptismal waters and see seven willing converts united with Christ in baptism Horace Dumond and wife, Hamilton Dumond, Henry Becker, Charles Murray, Marinnda McIntosh, Clara Becker. Sunday afternoon Jan 30 We were once again permitted to visit the Baptismal waters & see two more follow the example of their Saviour in Baptism. Sister Murray & Sister Charlotte Becker. The Ordinance of the Lord’s Supper was administered. Sister Cummings was received on experience & the right hand of fellowship was extended to all present who had not received it. Feb 16 After prayer meeting it was moved & carried that Brother Charles Murray circulate & collect the subscription for Rev Watrous for the purpose of paying him for preaching for us every other Sunday for one year commencing Jan first. Sunday May 7 After the sermon a motion was made & carried that we invite the Pastors & Delegates from the churches of the Bradford Association & of the Blossburg Covingrton & Mansfield churches of the Tioga Association to meet with us Thursday June first for the purpose of recognizing us as a church. Pastors & Delegates from Troy, Alba, Canton, Leroy, Franklin, Union & Covington met & organized us as a church. 1877 Rev G P Watrous preached for us until the following spring after which the church united with Alba in calling E Burrous as pastor for the year 1877 commencing May first. May 1877 In a regular Covenant meeting it was moved & carried that we have our covenant meeting the second Saturday in each month, also that Br Porter write the letter to the Association. The church elected as clerk in place of Br J D Becker, Br Charles Murray. 1877 Aug 11 Met in a regular covenant meeting 10 members present. Deacon Leonard from Alba was present. Enjoyed a good meeting. 7 present, enjoyed a good meeting. Also our pastor. Oct The 13 Met in regular covenant meeting by request of Bro E Borrough’s. Voted & carried that he may change his presentation which is every Sunday morning and have every other meeting in the evening. Pastor and 13 members present. Also Bro Leonard from Alba. Enjoyed a good meeting. Held a quarterly meeting in Armenia church commencing on Friday Nov the 26 and continuing over Sunday in which several churches of the Association were invited . Columbia & Wells, Troy, Burlington, Leroy, Barklay, Canton, Union and Alba responded to this invitation. Met on Saturday the 17th 1877 in regular covenant Meeting. Our pastor and nearly all the members present. Elders and Delegates from the different churches were also present and are trusting that the love of God was in our hearts. Enjoyed good meeting. Met in a regular covenant meeting. No business done. Our pastor and 12 members present. Also Bro Leonard from Alba. Met in a regular covenant meeting . Voted and carried that we engage Bro Burroughs to go to the quarterly meeting at Leroy. Our pastor and 7 members pr==. ny office to J D Becker and now serve as deacon. This change being made by a vote of the church. April 6 79 Dea W H Porter & wife called for letter to go to the Alba Church & it was granted. April 14 1879 Alice Douglas called for letter to go to the Alba church. It was granted. Oct 5 1879 Adam Douglas. Bros received & Baptized in the church & F B Stanton was received in the church on experience. Oct 6 1879 Mary F Worel was received on experience. Oct 12 1879 Horace Dewey & May Brooks was received & baptized in The church. December 1879 The church met and called the Rev C H Crowl as pastor up to the first of June. Jan 10th 1880Met in a regular covenant meeting. A motion was called to receive the branch of the Armenia Baptist church. And they were received in the church. in the church. Delegates appointed to attend the quartely meeting at Alba February 27th. Bro Murray and Palmer & Bro Comfort and for the branch church at the Wall school house. Bro Marion and T F Morgan. Meeting closed by prayer. Feb 22 1880 Meetings continued at the Mcintosh school house. Bro James H Howe was received and baptized and became a member in the church. March 13th 1880 Met in regular covenant meeting. Five members present and also our pastor. A motion was made to receive sister Stella Howe in the church by letter from the Troy Baptist church and it was carried, and she became a member of this church. A motion was made and carried to change our regular covenant meetings to once in four weeks so our pastor could attend. April 10 1880 Met in regular covenant meeting. Four members present and also our pastor. Building committee met at same time. It was thought best by the committee to pospone building unrtil 1881. Dec 10 1881 Met in regular covenant meeting. Nine members present and also our pastorRev C H Crowel. A motion was made and carried to exclude from the church H B Button, C P Button, Emery Terriwilliger, Dyre Howell, Rose Howell, C F Murray, Susan Lann, Motion was made to meet in regular church meeting in four weeks. Jan 7 1882 Met in regular covenant meeting. Five members present. Adjourned to meet in four weeks. April 1 1882 Met in regular covenant meeting. Five members present and also our pastor Rev C H Crowel. Delegates appointed to meet with the Ward church April 19 in committee to see weather it is best to recognize them in the association or not. Regular covenant meeting in four weeks. Armenia Dec 26 1879 Record of the Armenia Baptist branch church. After nearly four weeks labor by Rev C H Crowl in Armenia at the Wall schoolhouse. A few persons met in said schoolhouse to consider the propriety of organizing a branch to the Armenia Baptist church. And on Tuesday December 30th 1879 thirteen persons had their names enrolled. Two by letter. Four on experience and Seven were baptized. And the Saturday following Jan 10th 1880 said thirteen persons were received by the Armenia church as a branch. And brethern J A Marvin and T F Morgan were chosen deacons said church members. Sarah Moore, J H Marvin, J E Marvin, W S Moore(crossed out), Alice Morgan, T F Morgan, Emily Morgan, Emery Terwilliger(crossed out), C V Button, H B Button, Rose Howell(crossed out), Dyer Howell (crossed out), Susan Dann(? ), H S Morgan, Charles Pilkey(crossed out). April 12 1882 Sister Silva Aumick- her name below, was received in the church on experience. Jermia Jr Moore (crossed out), Mrs Emma Peters. Sept 10-86 One willing candidate followed the Saviours example in baptism and was rec’d into the church, Emma McKeel S.
1883 Feb 17th. Covenant meeting of the Armenia Baptist Church. Church met in Covenant meeting. Opened with prayer by Pastor Crowl. After conference the following business was transacted. As a result of an extra meeting held by Pastor and under the head of experience the following members were received with (?) previous baptism. Under the head of new business. Bro Dewitt Decker resigned the Clerkship in favor of Bro H H Aumick and Bro Aumick was duly elected Clerk. 1883 February 17th Voted to change section B Article 4 so as to read Seven Members instead of nine male members. Also proceded to elect a Dea by ballot. The lot fell on Bro P B Field who was duly elected Dea. After prayer by Bro Field adjournment to meet again in four weeks. The congregation then refrained to the matter, to witness the ordinance of baptism of the following candidates. Bro Joseph Harvey, Jer Moore Jr, Sister Dorset Aumick, Sister Roda B Lyon. 1883 March 17 Church met in convenient meeting opened by prayer by Pastor Crowl Had a good spiritual conference meeting after which the following business was transacted. Bro Albert R Burgess was received into the church on experience and Bro Murray was elected to circulate a subscription paper for the benefit of Pastor Crowl for the following year. Closed by prayer by Bro Field. March 18 Sister Emma Peters was received into the church on experience after which the Lord’s Supper was observed. Feb 16th Church met in regular covenant meeting 13 members present Also Pastor Crowl. Meeting opened by prayer by Pastor Crowl followed by conference and speaking after which Warren Pierce was received as a candidate for baptism. Church covenant read by the clerk Also minutes of previous meeting. J W Ripley was re-elected clerk for one year. A motion was made and carried to elect a committee of five to investigate the list of members and revise the list. F Pierce and E O Ayers, A Ripley, Mrs Ella Gafford, J W Ripley, were elected committee. Adjourned to meet in four weeks. Closed by prayer by Bro S Pierce. and speaking. After which the covenant was read by the clerk, minutes of the previous meeting read and accepted. Moved and carried to receive Travis McKeel as a candidate for baptism. Clerk instructed to write to the clerk of Troy Church asking for letters for Bro D Carnwright and wife, Bro C H Crowl and wife, presenting letters from the Union Baptist church was received in the church. Moved and carried to grant letters to H H Aumick, F I Aumick and Dora M Aumick. Moved and carried to retain the name of J Howe and wife. Moved and carried to write letters of inquiry to A O Wilcox and wife, Chas Gilley, Horace Dumond and wife, Also moved and carried to erase all other names recommended by the committee to erased. which is as follows. carried to erase his name. Also moved and carried to erase the names of A D Wilcox & Sarah Wilcox. Adjourned to meet in four weeks at 2 o’clock. Meeting closed by prayer by Bro Daniel Carnwright. May 18th Covenant meeting having been changed by a vote in the church convened at 2 o’clock on the date here given. Six members and Pastor Cowel present. In the absence of the clerk, Bro A Ripley was appointed Proterm. Meeting opened by prayer by Pastor Crowl. After a short season of conference and speaking proceeded with reading the Church covenant. Also minutes of previous meeting. Elected as delegate to the Association, Bro C H Crowl, A Ripley, S Pierce. Adjourned to meet in four weeks. Closed by prayer by Bro S Pierce. June 9th Were permitted again to visit the water and see three more follow their Saviour in baptism. Arthur Hagar, Homer Hager, Horace Hagar Jr.
June 15th Church met in covenant meeting 12 members present. Elected Bro A Ripley Moderator. Meeting opened by prayer by Dea S Pierce. Occupied a short time in conference and speaking. Church covenant read by the clerk. Minutes of the previous meeting read and approved. Moved and carried that J W Ripley and wife go to the Association as Delegates, in addition to those previously elected. The letter to the Association read and after a few additions approved. Motion made and carried to carry the report of member to the Association without altering. Moved and carried to adjourn until three weeks from this date and to hold covenant meeting regular once in four weeks. Meeting closed by prayer By De T F Morgan. July 6th Church met in covenant meeting. 9 members and Pastor Cowl present. Meeting opened by prayer by the Pastor. Covenant read by the clerk, followed by devotional services lasting a short time. Minutes of the previous meeting read and approved. A motion was made and carried to observe the Lord’s Supper Sunday following. The next covenant meeting after which to be observed once in four weeks. A motion was carried to adjourn meeting closed by prayer by Bro A Ripley. July 7th Were again permitted to visit the water and see 6 more follow their Savour in baptism. 5 of which were received in the church. Florence Sherman was baptized but wishing to join another church, was not received in the church. Those received and baptized were Simeon Morgan, Fred Tubbs, Harvey McKeel, Jennie Morgan and Nellie McKeel. Aug 3 89 Church met in regular covenant 8 members and Pastor Cowl present. Meeting opened by prayer by the Pastor. Followed by reading of the covenant after which a short time was spent in social conference. Minutes of previous meeting read and approved. No business to transact, clerk made a few remarks in behalf of the general Association. After which it was decided to contribute something to that object, but no collection was taken. meeting closed by prayer by Bro T F Morgan. August 4th The Ordinance of the Lord’s Supper was observed by the church. Twenty members were present and partook of the Sacrament besides others were present, but did not partake. Aug 31st But four members present for covenant meeting. Raised at interval collections $2.00 for general Association and sent to the clerk of the same. September 15th Church elected as delegate to the council at Towanda to ordain A M Hendrick, Brother Marvin, and T F Morgan with Pastor Crowl to meet Oct 3rd 89. Resignation and recommendation approved by vote of the church. Meeting closed by prayer by Brother J A Marvin. September 29th Church observed The Lord’s Supper 18 partook. Bro J W Ripley preached in place of Pastor and church. On pastor Chrowls time, a motion was made and carried to send Bro John Carnwright to the council at Towanda in Dea T F Morgan’s place. Mrs C F Gafford church clerk. September 28th P. S. Bro J W Ripley asked for license to Preach the Gospel . Oct 26th Church met in regular covenant meeting 9 members and Pastor Chrowl present. Meeting opened by prayer by the pastor. approved with some additions. Church balloted to give Bro J W Ripley a license to preach the Gospel. Vote carried and so ordered by church. Motion made and carried that elect Bro J A Marvin collector and treasurer, Albert Burgess asked to be restored to membership. Motion made and carried to receive him. Pastor Chrowl extended hand of fellowship to Albert Burgess. Motion to adjourn Meeting closed by prayer by Bro T F Morgan. Moved and carried to take a collection for education Society. Decided to take collection two weeks from following Lord’s Day. Moved and carried to adjourn meeting. Closed by prayer by Bro J A Marvin. Nov 24th The Lord’s Supper was observed 10 members present and partook. Dec 21st But five members besides our Pastor present for covenant meeting. Prayer was offered by Dea F Pierce. Church covenant read, followed by a season of speaking. Minutes of previous meeting read. Meeting closed by prayer by Bro J A Marvin. 1890 Jan 18th Church met in regular covenant meeting 13 members and Pastor Crowl present. Meeting opened by prayer by Dea S Pierce. Church covenant read, followed by a season of speaking and singing. closed by prayer by Bro Alfred Ripley. Jan’y 19th Preaching by Pastor Crowl Lord’s Supper observed 15 members present. A collection was taken for education society which, with other collections amount to 1.25. We were called to mourn the loss of our Sister Nancy wife of Dea Alfred Ripley who passed to her rest Jan’y eleventh 1890. Feb 16 Church met in regular covenant meeting 13 members present. Bro Wilson Ripley elected by acclamation in Brother Crowel‘s place for moderator. Meeting open by prayer by Brother Marvin. Church covenant read followed by a season of speaking and singing. Minutes of previous meeting read moved and carried to adjourn meeting Closed by prayer by Bro Wilson Ripley. March 15 Church met in regular covenant Pastor Crowel and 8 members present. Meeting opened by prayer by Bro Crowel. Church covenant read followed by devotional exercises. Minutes of previous meeting read and approved. A letter from the Foreign Missionary Society was read. Church voted to take collection for the same on the following Sabbath. Moved and carried to adjourn. Meeting closed with prayer by Brother Dea A Ripley. March 16th Preaching by Pastor Crowel. Lord’s Supper observed. 8 members present. A collection of one dollar was taken for the Foreign Mission. Association Rev C H Cowel, Dea T F Morgan, Dea S Pierce, Bro Graves, Bro D Carnright. Meeting closed with prayer by Bro Graves. June 7 Met in regular covenant meeting. 6 members and Pastor Crowel present Meeting open by reading a portion of Scripture, and prayer by Pastor. Followed by devotional exercises Bro J A Marvin appointed clerk Proterm. Minutes of previous meeting read and approved. Church letter read and approved. Aug 31 Preaching by Pastor Crowel. J A Marvin was elected clerk. Church voted to give Sister Annie Becker a letter of dismissal and recommendation to the Troy church. Oct 25th Church met in regular covenant 6 members and Pastor Crowel present. Meeting open by reading a portion of Scripture. Prayer by Pastor Crowel, Bro T F Morgan elected clerk Proterm. Ninutes of previous meeting read and approved. After hearing the statement of Bro Alfred Ripley the church voted that the clerk notify Albert Burgess to appear at the next meeting to answer certain charges of alleged accusations. voted to drop the case of Albert Burgess in reference to charges made at the meeting of Oct 25th 1890 because neither party appeared. Under the head of new business elected Bro E O Ayers church clerk. Meeting closed by prayer by Bro Pierce. After meeting repaired to the water and Minnie Ayers was baptized into the fellowship of church and Mertie Ayers Hemmingway was baptized but did not untie with the church. over for the next meeting and closed by prayer from Bro Pierce. 1891 May 9th Church met in covenant meeting seven members and Pastor C H Cowel present. Meeting opened by reading Scripture and prayer by Bro Crowel. Followed by singing and devotional exercises. Church covenant read Minutes of previous meeting read and approved after which the following brethren was elected as Delegates to the association. Rev C H Crowel, Dea T F Morgan, Bro John Carnright, Bro E O Ayers, Dea Alfred Ripley. As there was no unfinished business to settle, meeting closed. 1891 June 6 Church met in covenant meeting. 10 members and Pastor C H Crowel present. Meeting opened by prayer and reading the Scripture, followed by singing and devotional exercises In the absence of the clerk Sister Alice Morgan was appointed. Minutes of last meeting read and approved as there was no business to be done in the church Bro Pierce closed the meeting by prayer. June 7 Clerk received of Jennie Morgan one dollar for Publication Society Nellie Mackeel One dollar six cents for the Home Mission Society, John Carnright one dollar for the General Association, Frank Sherman one dollar for the Educational Society, Also one dollar received by collection for minister. 1891 Sept 26 Church met in covenant meeting. 6 members and Pastor Crowel present. Meeting opened by prayer and singing, followed by devotional exercises Closed by prayer Adjourned to meet again in four weeks. Nov 21st Church met in covenant meeting 3 members one visitor and Pastor C H Crowel present. After conference, closed with prayer by Bro T F Morgan. Dec 6 1891 After preaching Pastor Crowel called an extra meeting of Church On motion of T F Morgan Rev C H Crowel were received in the church on return of their former letters. Bro E O Ayers resigned the clerkship and Sister A H Morgan was elected clerk. Apr 10th 1892 After preaching an extra meeting of the church was called by Rev C H Crowl . It was voted that Rev C H Crowl and wife be granted letters of dismissal It was also voted that Albert Burgess be excluded from the church. May 28 1892 Church met in covenant meeting Dea Morgan acting as moderator Meeting opened by prayer. Followed by devotional exercises. Minutes of previous meeting read and approved. It was noted that Deacon Morgan and wife be sent as Delegates to the association. Also Bro Pierce and wife. Closed by prayer by Bro Pierce. July 9 1892 Church met in regular covenant meeting Rev C H Crowl acting as moderator, minutes of previous meetings read and approved. Had singing and devotional exercises. Meeting closed by prayer. Aug 6 1892 Church met in regular covenant meeting. Rev C H Crowl acting as moderator. Opened by prayer followed by devotional exercises The church appointed Rev C Crowl, Dea Pierce, and Bro Murry to sit in Council with the church at Ridgebury for the Ordination of a minister. Sept 3rd 1892 Church met in regular covenant meeting Our Pastor acting as moderator. Meeting opened by prayer by Bro Crowl followed by devotional exercises. As there were no other business to do, meeting closed by prayer by Dea Pierce. Aug 26 1893 Church met in covenant meeting. Rev A Mconnel acting as moderator. Meeting opened by prayer by Bro McConnel. Followed by singing and devotional exercises. Church elected A Ripley clerk Proterm. Some talk of hiring a Pastor. Appointed prayer meeting Wednesday evening. Meeting closed by prayer by Rev A McConnel. Jan 26 1894 Church met in a business meeting with ten members present sister Sarah Becker was granted a letter to join the Alba Baptist church. As was also voted and carried that C F Murry serve the church as clerk. Alice H Morgan tendering her resignation. Brother C H Crowl as moderator. Closed by prayer by T F Morgan. Mar 30 94 Church met in covenant meeting. Ten members present Pastor Crowl moderator. Voted and carried letters to Emma Mckeel Smith. Smith grave Brother Fisher Wallson & wife of Cortland by invitations by Brothers Crowel Brother Will Iarovi & wife of Gilletts the Lord was with us in great power held meeting. In the Sholl Harsoe E**rrings presently came forward and others washed there hands for prayer. Met in Covenant meeting Twenty members present . Brother CH Crowl as Moderator had a good Devotional Meeting after which twelve candidates were examined and received for baptism. Sept 8th Minutes of previous meeting read and approved . Met in covenant meeting. Pastor Crowl with us Twelve members present. Had a good devotional meeting All the members present taking part. Order of business Pastor Cowel as moderator Minutes of previous meeting read and approved Sister Carry Mckeel received on exp. Brother Crowel gave her the hand of fellowship Closed by prayer by Deacon Frank Morgan. Jan 25 1895 Held covenant meeting. As our Pastor was absent Brother J D Forlick was chosen as moderator. Had a good emotional meeting ****Present it was voted an carried that C F Murray remain as Clerk an also voted and carried that Rebecca Murray act as his assistant Sectry. Adjourned to meet again when the roads are better. (Mr Jones was hired for six dollars per mo. Met at the church five members present Deacon Lewis Pierce H S Morgan and wife C F Murray and wife had prayer meeting. May 11 1901 Met in covenant meeting J B Elvidge as moderator The letter to the association read and accepted No business. June 17 Met in special meeting Deacon Frank Morgan acting as moderator. Opened with Scripture reading and prayer by Bro Eugene Wood. The letter to the asso. was read and accepted. Mrs Frank Morgan was voted into the church. Closed with prayer by Bro. Frank Morgan. Oct 29 03 R C H Crowel extended the right hand of fellowship to Mr and Mrs E J Everitt and Miss Grace Everitt. June 25 1905 Members met. Church covenant was read by the clerk. Prayer by Brother Parker. The following officers were elected. Mrs R D Cleveland Treas. H S Morgan John Carnwright trustees for three years James Parker Eugene Wood two years. George Wilkins Sr one year. The following delegates were elected for the association Mrs Lewis Pierce Mrs John Carnwright and Mr Sylvester Morgan and wife. Meeting adjourned until the last Saturday evening in July. Sr was reelected as trustee for one year. Meeting closed by prayer by T F Morgan adjourned to meet again in four weeks. June 19 1907 At a L.A.S. at Mr Wilkins the following business was transacted Rev Early acting as moderator. The letter to the association was read and accepted. Rev. Early and his wife Deacon T F Morgan and wife were elected as delegates to the association. Mrs L Pierce was received as member of the church on her experience. Mrs Al Purvis and Mrs Nick Austin were accepted for baptism and church membership. Jan 12 1910 After meeting Mrs Addison Chamberlain and Purley Wood. Voted as candidates for baptism and church membership. Also voted to hire Bro Phelps as pastor for the coming year provided necessary funds could be raised for his support. Addison Chamberlain was appointed to circulate a paper for that purpose. Mr George Morgan and wife and Ray Morgan were accepted by vote as candidates for baptism The following officers were elected Trustees for 3 years Bro George Morgan and Bro Ed Morgan for 2 years Bro Addison Chamberlain and Bro Gene Wood. For 1 year Bro Frank Smith For Clerk Mrs Wm Bullard and Treasurer Bro Gene Wood Pastor brought up the idea that we should have another deacon. Dea T F Morgan nominated Addison Chamberlain and he was elected. Pastor desired the church to grant him the privilege of circulating subscription blanks for the purpose of raising money to repair Roseville Church. It was granted. Meeting was closed by singing and benediction by Pastor. Adjourned to meet in four weeks from the next Saturday. Apr 9 1910 Church met in covenant meeting Pastor and four members present besides some visitors including Mr and Mrs parker. All were glad to see them back again. Jan 18 1911 Church met for prayer and business meeting. Had a good prayer meeting led by Mrs Phelps. the same officers were reelected to hold office until a year from Jan 1st Meeting closed by singing doxology and prayer by Mrs Phelps. financial report was given by the finance committee concerning Pastor’s salary. Meeting closed with prayer by Bro Phelps. Dec 28 1911 Church met in covenant meeting. Pastor, three deacons and seven members present and several visitors. Pastor acted as moderator. Meeting opened by singing and prayers by Deacon Pierce and Pastor. After reading of church covenant and testimony meeting the following officers were elected for 1912. Trustees for 2 years A Chamberlain Gene Wood for 1 year Frank Smith, for Treasurer Bro Gene Wood. Church Clerk Mary Morgan Pulpit com. A Chamberlain Mrs N A Austin Zella Wilkins, finance com. Mrs H S Morgan Mrs Zella Wilkins Mary Morgan Pastor asked for a letter. It was voted the church grant him a letter. Meeting closed by prayer by Pastor. Aug 25 1912 Church voted on candidate for baptism Miss Clara Austin was accepted into church. June 14 1914 Elected delegates for the Baptist Association to be held at Col & Wells Church June 23 & 24 1914. T F Morgan A Chamberlain Rev W H Porter Mrs Alice Morgan Mrs Sadie Austin was elected delegates. June 19 1915 Miss Lillian Cleveland was baptized June 20 1915. She was received into the Armenia Baptist Church by Rev W H Porter giving her the right hand of fellowship in behalf of the church. Aug 29 1915 Mr Moss gave right hand of fellowship to Miss Celia Bullard, Milton Bullard, Matilda Burgess after baptism. The Church voted to take Mr. John H Lyon into the Armenia Baptist Church on Experience. Mr John H Lyon received the hand of fellowship into the Armenia Baptist Church. Rev E O Seabolt preached. Elected the following delegates to send to the Bradford Baptist Association. Mr and Mrs George Morgan, Mrs Wm Bullard, Milton Bullard, Rev E O Seabolt. Church met in regular covenant Meeting with 11 members present. Deacon T F Morgan in Chair. Opened by singing, reading 14 Chap Romans. Prayers by several. Good testimony from nearly all present. Reading minutes of last meeting. Minutes approved. Reading covenant of Church by T F Morgan. Motion made and carried we keep Rev E O Seabolt the remainder of the year which began Sept 16 1916 and ends Sept 15 1917. Meeting closed by prayer by T F Morgan. After meeting done some business. Motion made and carried the same officers elected in 1916 be back in office for the year 1917. Deacon H S Moran, Clerk Mary Morgan, Treas Anna Morgan, Trustee George Wilkins three years, Mary Moran elected Deaconess. After meeting done some business. Motion made and carried we asddopt the *** member. *****Ed Morgan, Miss Clara Austin. Mary Morgan was appointed a committee to call on all Church members. 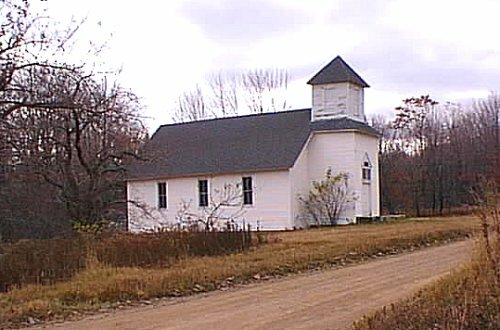 After meeting it was voted to give a letter of dismissal to Mr and Mrs Fred Clark, at their own request to unite with the First Baptist Church of Blossburg. After meeting it was voted to send Rev Seabolt, E D Morgan, N A Austin to sit in Counsel on the ordination at Leroy March 21 1917 of Brother Clarence Moss. After meeting elected delegates to send to Bradford Baptist Association for June 20-21 1917 at East Granville. Mr and Mrs George Wilkins, Mr and Mrs T F Morgan were elected delegates. A special meeting of the Armenia Baptist Church was called with 8 members present. With Rev E O Seabolt in chair. 21 verses of 14th chapter of 1st Corinthians was read followed by prayer by T F Morgan. Reading of minutes of last meeting. Motion made and carried the Church accept Miss Irene Smith as a member of the Church following her baptism. Motion was made and carried that the Church will help in building up the Union Baptist Church. Motion made and carried that we adjourn. After meeting it was voted to give Florence and James Simpson a letter of dismissal from the Armenia Baptist Church at their own request, to unite with the Baptist Church in Massillon Ohio. A special meeting of the Armenia Baptist Church was called with 11 members present. T F Moran in chair. Opened by singing, reading a portion of scripture, prayer by T F Morgan. Reading minutes of last meeting. Good testimonies from nearly all present. A motion made and carried the same officers continue in office for the year 1918. Motion made and carried we (the Ladies Aid and Red Cross) meet every two weeks through the summer and every other meeting for Red Cross work and the proceeds from the Red Cross meetings to go for Red Cross material. Heard report read from Red Cross Sec. Total membership to date 56. Gafford School turned into hand of Sec $5.00. Proceeds from Social held for benefit of Red Cross $2.25 from meeting held today for yarn fund. $2.00 from two new members. Meeting closed with prayer by RT F Morgan. Church met in regular covenant meeting with 8 members present. Mr T F Morgan in chair. Opened by singing, reading portion of scripture from Isaiah. Prayer by T F Morgan. Good testimonies from all present. Elected the following delegates to the Association to be held in Troy June 26-27 1918. Mrs Wm Bullard, Mrs Ray Cleveland, Mrs N P Austin, Miss Clara Austin, Miss Celia Bullard. Mr W H Porter came and acted as supply for the summer. June 20 held a short business meeting to elect delegates to the Association. Rev Mr Porter, Mrs Bullard, Mrs Austin. Church voted that Mr Porter becomes our regular pastor for the year. Mr and Mrs Ed Morgan asked for a letter from the Church to join with the Frost Baptist Church in Blossburg. Their letter was granted Nov 28 1920. Rev W H Porter preached and closed his meetings for the winter. Called Church together to start Sunday School and elect delegates for the Association to be held at Fassett June 1st and 2 1921. The following delegates were elected Mrs Ray Cleveland, Miss Clara Austin, Miss Lillian Cleveland. Held the Church dinner at William Bullards. Had big crowd. Mr and Mrs George Wilkins asked for a letter from Armenia Church to join the State Road first Baptist church. Letters of dis***tion was granted them. Had notification that they joined the State Road church Jan 1 1922. Had Ladies Aid to Mr Will Bullards. Mrs Celia Bullard Robenson asked for a letter to join the church at Canoe Camp Tioga Co Pa June 24 1923. Mr Wilson preached at the Armenia Baptist Church. A little business was done. It was moved and carried a letter of dismiss on be granted to Mrs Celia Robson. Had notification that she had joined the Canoe Camp Church. The delegates to the Association to be held at East Troy June 27 and 28 1923 are Mrs Will Bullard, Milton Bullard, Mrs Ray Cleveland, Mrs George Carnwright. A number had come out for baptism. A motion was made and carried that the Church accept the following for membership after their Baptism. Miss Euginia Nash, Dwight Nash, Raymond Morgan, Alice Morgan, Gladys Smith, Pauline Cleveland, Frances Cleveland and Marian Cleveland. Mr Wilson came as a supply for the summer. Mr Wilson preached. Had good sermon. The Church voted to give Mr Wilson the privilege of Baptizing the candidates that have come out for membership id the Armenia Baptist Church. Also to give the right hand of fellowship to the candidates, and to hold communion in the Baptist Church. After sermon the candidates were Baptized. Dwight Nash, Raymond Morgan, Eugenia Nash, Alice Morgan, Marian Cleveland. (in pencil) April 15 1973 transferred to Elk Run. After Sunday School had a short business meeting to elect same officers for the Armenia Baptist Church. The officers Deacon Milton Bullard, Sec M J Morgan, Treas Mrs Anna Morgan. Closed by reading prayer in church manual.